Melody queen Lata Mangeshkar took to social media on Thursday to wish Prime Minister Narendra Modi on his birthday. 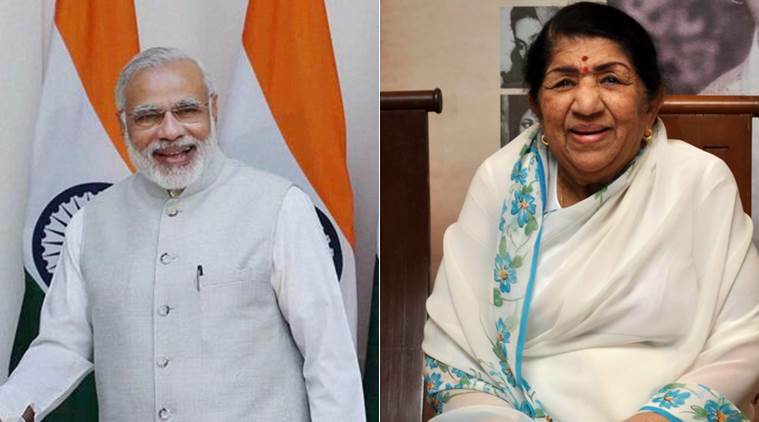 In response to the wishes, Narendra Modi thanked Lata Mangeshkar and expressed gratitude in receiving the melody queen’s blessings for many years. “@narendramodi Aap ko janamdin ki bahut badhaai. Ishwar aap ko har kaam mein yash de yehi mangal kaamana. Tathastu (Wishing you many happy returns of the day, may god bless you),” Lata tweeted. @narendramodi Namaskar Narendra bhai. Aap ko janamdin ki bahut badhaai. Ishwar aap ko har kaam mein yash de yehi mangal kaamana. Tathastu. Modi turned 65 on Thursday. In response to the wishes, Modi thanked the singer and expressed gratitude in receiving the melody queen’s blessings for many years. “@mangeshkarlata Thank you Lata Didi. I have been fortunate to receive your blessings for many years. They give me immense strength,” Modi tweeted. @mangeshkarlata Thank you Lata Didi. I have been fortunate to receive your blessings for many years. They give me immense strength.